Everything you’ve gone through has prepared you for this moment. On February 8th, the Sun in Aquarius will sextile Jupiter in Sagittarius, showing us that sometimes things really do work out better than we could have ever imagined, especially if we believed they would all along. The energies will linger and transform from now until the next transit of this kind on October 14th. And during this time we will see our major areas of focus evolve to a significant culmination point. But what does this mean for our love horoscopes and relationships though? In astrology, a sextile is when two planets are within 60 degrees of one another and create a positive and uplifting energy to help us benefit from whatever is currently going on in our lives. However, a sextile also uniquely encourages us to work for what we want and can even reward us if we’ve been diligent in pursuing what matters most to us. The Sun represents our sense of self and who we are apart from whatever titles we hang onto that others have placed upon us. The Sun, which is also what we base our zodiac signs on, represents the self that is one we keep hidden or we even spend time trying to get to know; it’s our most pure essence if everything else was stripped away. The Sun in Aquarius is looking for something different, something out of the norm, and quite frankly might even have us searching for our true selves. It seems that at the beginning of every new year, many of us go through a process of redefining who we are and what that means for how we are living our lives. In some ways, it’s just the constant undoing of letting go of all the ways we were told we should live, or even the things we should enjoy. The Sun in Aquarius doesn’t have time to pretend or to try and make others happy; it doesn’t even have time to do many of those things that we should, and instead can often be seen as indifferent. Because of Aquarians’ detachment from what doesn’t matter, during this time we are more apt to listen to our inner knowing and feeling than our group of best friends. The Sun in Aquarius is looking forward, and that means it’s also letting go of the past as well; it’s the time we are going to be looking at if our current life is in alignment with our soul and the visions that we have for ourselves. In many ways, Sun sextile Jupiter is a time of looking for answers. Are we on the right path? Do we have the right people surrounding us? Have we made good choices? Are we just completely lost and trying to wing it? These are just some of the questions we’ve likely felt go through our mind in recent time. But all of that doubt is about to gain some well-deserved clarity because Sun sextile Jupiter is going to show us exactly the areas we’re investing in, which are meant to bring us the greatest benefit. The people, situations and jobs in which we’ve likely seen questions surface will finally feel like we know one way or another. While the Sun is in rebellious and free-spirited Aquarius, Jupiter is the planet of abundance and exploration, which means we can expect there might be a theme of travel of some sort. 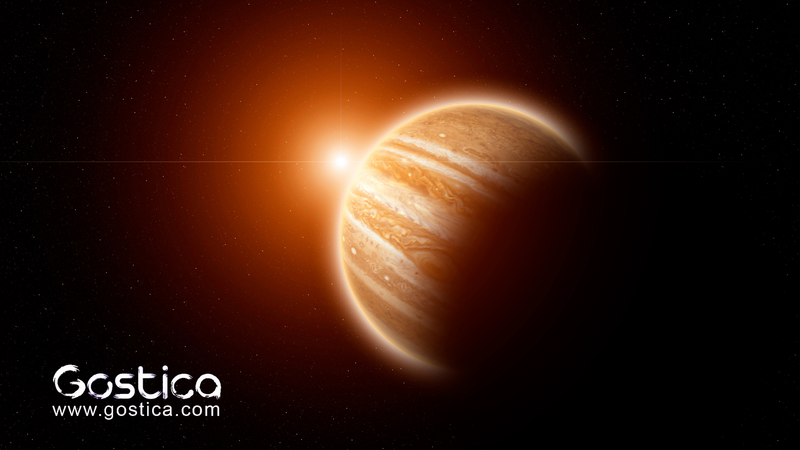 Jupiter is the planet that likes to bring all things good right to our doorstep; it likes to think, to explore, and to investigate spiritual or esoteric matters. In Sagittarius, all of this is amplified because this is one of his ruling signs; the other is Pisces. So his natural tendencies to explore, discover and create are magnified under this independent fire sign. Together these two meet up to let us know there is something very close to our hearts that is about to get a major boost. In some cases, this might even be in reference to our romantic relationships, as many have felt stress since the start of the year — not necessarily because they were doomed, but because if we’re unsure of who we are, we can’t possibly make those choices that are right for us. We might even see that we were thinking too limited and that life was wanting us to think on a grander scale. Or, as any Sagittarius would say, a more universal scale. Sagittarius is a big sign with big ideas and doesn’t deal well with feeling restricted. However, with Jupiter on his side it’s really about realizing what matters most, and it’s likely it’s going to be about how we (Sun) need to go our own way (Aquarius) in order to actually live the lives (Sagittarius) we’ve always dreamed (Jupiter) about. They make a big statement that we need to look beyond what we’ve previously considered, and that as long as we’ve been investing in the right stuff — which, for the sign of Sagittarius includes truth, spirituality and learning — we are about to see our hard work pay off in a big way. In terms of relationships, this might be the comeback you’ve been dreaming of. It’s never too late if both people still want to try again, as long as there is still love there and as long as both people feel that their lives are improved by the connection. If any couple, regardless of difficulty, can get to that point, it’s not too late. But Jupiter is here reminding us that we have to put in the work; we can’t expect to get different results if we’re only ever doing things the same. Jupiter also focuses on financial abundance, so this is a time when we also might see that monetary windfall or some other big payoff that we’ve been hoping and working towards. It’s a time when the good becomes better and the big gets bigger. It’s a moment out of our lives when we are being encouraged to stop for a moment, to make sure that we’re listening to our inner truth, and that our actions are in alignment with what we say is most important to us. Because everything in life has prepared us for this moment — we just have to trust and make sure to listen before we miss out on the best thing that could ever happen to us.